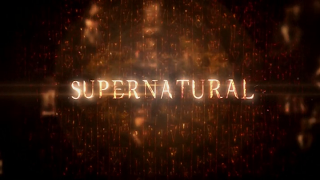 It is round two in the Best Supernatural Episode Title contest and the following episodes are still in: The Girl with the Dungeons and Dragons Tattoo, All Hell Breaks Loose, Lazarus Rising, Dark Side of the Moon, What is and What Should Never Be, Live Free or Twihard, Are You There God? It's Me Dean Winchester, and The Monster at the End of This Book. Just a reminder - this contest has absolutely nothing to do with the content or quality of the episode. We are simply picking which title name we like best. So have fun and happy voting!